OMS Configuration Failure - ORA-14440 - "Hey Alfredo..."
On recent fresh installation of EM 12.1.0.5 during the OMS configuration we received a message saying that the OMS Configuration has failed. Viewing the log file to gather more details we found that we were receiving an ORA-14440: inserted partition key does not map to any partition. The fix was relatively simply and we followed the steps given in the document. 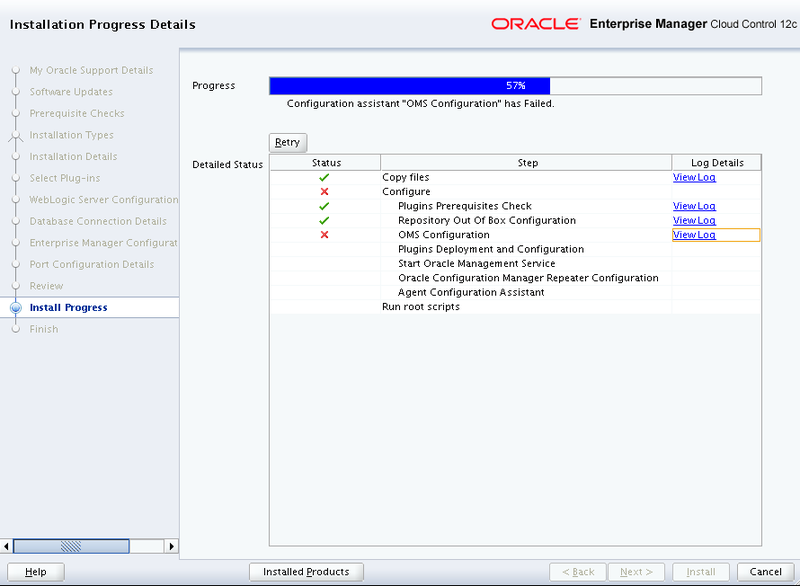 After we completed these steps, we clicked the retry option and the OMS installation completed successfully. Collaborate 19 San Antonio – Remember the Conference!